Last week, we caught up with Janet Davies, Communications Director at Office Space in Town (OSiT). What is unique about OSIT? What is really unique and special about Office Space in Town is the company culture and the culture of service. Having worked out of coworking spaces and serviced offices for different businesses myself, as well as having been in the regular corporate environment, I can see that the enthusiasm with which the team approaches customer care and social events is truly special. What type of events does OSIT hold? We are not the sort of company who lays on a talk by an aspiring entrepreneur every week; our clients are post-start-up organisations - they might be small enterprises, but they aren’t beginners any more. They’re on the way up - they know what they want, and they know where they are going. What they love are the events that we run to build community, events that are fun and social rather than simply a series of educational speaker events. It’s not that we don’t have them however. We just ran the London Leaders Conference in conjunction with Alembic Strategy, and offer business advice clinics with our partners like KPMG. But, the social events are the ones they appreciate the most and there is nothing wrong with a good dose of unadulterated fun and frivolity. What do you think your clients appreciate the most about the events you put on for them? As they are running thriving businesses, they are all really, really busy. What they appreciate is the time and effort that we put into events for them, time that they simply do not have themselves. Our centre teams create the events and all our clients have to do is turn up and take part. Whether it’s drinks for National Tequila Day, an Open Mic night, an Easter Egg Hunt, a get-together to celebrate the World Cup, or a full-blown party, we take care of everything for them. In the summer, all our centres put on a party with its own unique theme - we had circus theme at Monument, Club Tropicana at Euston Tower and a Coachella-style music festival at Liverpool Street. We can’t wait to see what they’ll come up with for Halloween and Christmas! We have six centres in London as well as centres in Cardiff, Northampton and Edinburgh, all with their own dedicated management teams. People support what they create and our local teams put a huge amount of effort in. The outfits they buy, the photos they put up on social media and the props they source are just brilliant. For our circus-themed party someone bought a blow-up mini circus tent and dressed up as a clown to promote it. 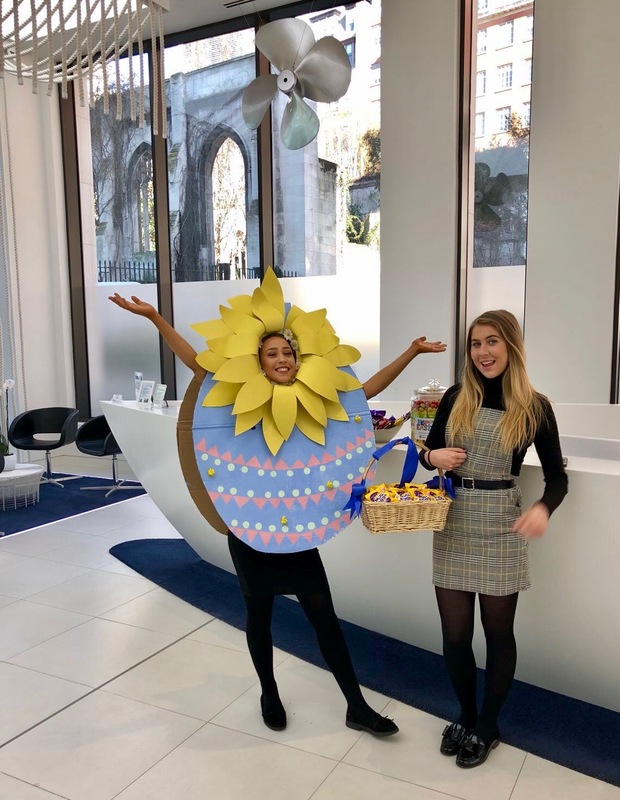 For Easter they were running around dressed as giant eggs handing out Easter eggs - our clients loved that. It’s fun and done in a really lovely way, by a team that truly cares. Our community really does operate like a family, and the money we raise from our events and socials goes to our annual charity appeal. We firmly believe that being good at business means doing good as a business. Each year the staff nominate a charitable cause close to their heart.This year, we are supporting the McClafferty family. Hayley McClafferty works for our accountancy firm; aged just 39, her husband has recently suffered a really serious stroke and they have two young children. This year we are raising money to help them and the community has really risen to the challenge. In Cardiff, one of the team there is also a trained hairdresser; he offered salon-quality haircuts for £5 pounds, and all of that money is going to the charity. I thought it was just amazing. Of course, our clients love that we have amazing rooftop terraces like The Deck and we have gorgeous buildings but, OSiT offices are also really nice places to be, and they feel that they are being looked after. Looking for new office space? 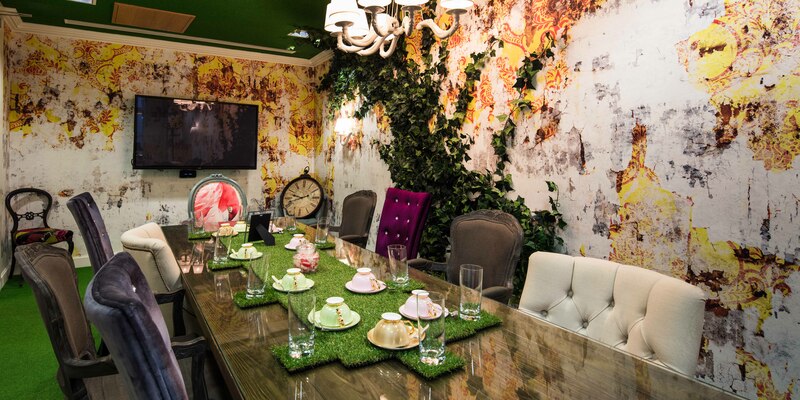 Check out the latest coworking office space in London.